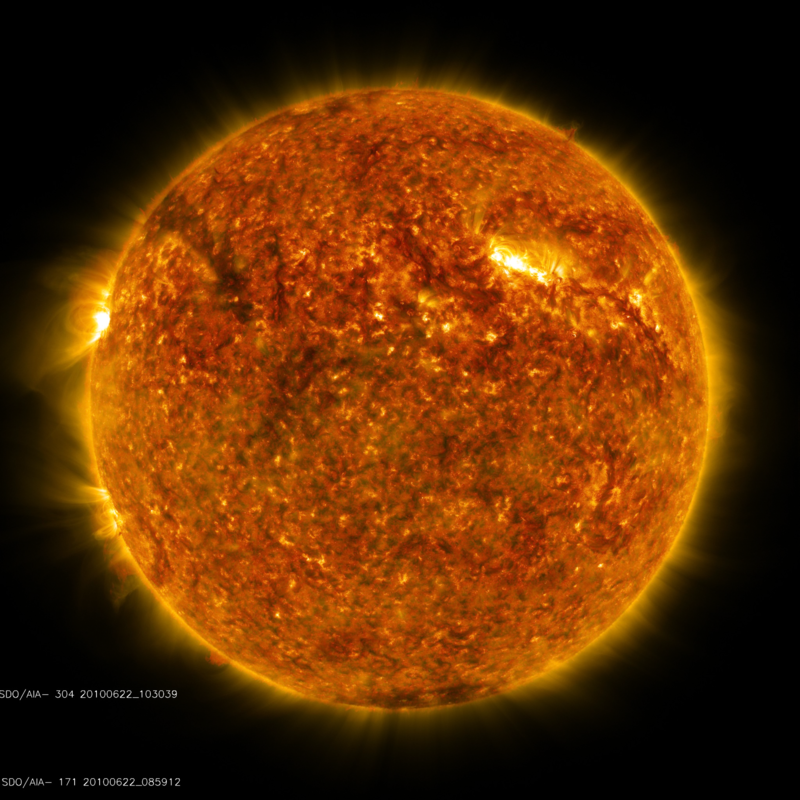 This is a composite I made out of data from the Solar Dynamics Observatory of today's sun (6/22/2010). Aside from the .png versions, I included a .psd that contains the raw images from the SDO so you can make your own composite. I left the serial codes of the images in, in case someone wanted to add more layers they could find more matching sun images. The source images are from NASA so they are public domain. Thanks for finding and uploading this. Used it as a texture for a planet in my project Galaxy Wars.